The Batavialand Foundation aspires to become THE museum in the Netherlands that portraits the origins of our national DNA, developed by living on the border between land and water. In order to achieve this ambition a large-scale expansion and transformation of the current museum is necessary. Shift architecture urbanism has been commissioned to do a spatial exploration that investigates how to translate the new Batavialand program into an architectonic, urbanistic and landscape design that does justice to this ambitious assignment within the context of the Lelystad Batavia quarter. Batavialand will become a world in which the visitor is guided along experiences that feature the historical, current and future relationship of water versus land in the Netherlands. This time travel runs through the recreated historical landscapes of the prehistoric creeks, Flevo Lacus of Roman times, the Zuiderzee in the Middle Ages and finally the international exploration of the world’s oceans with the Batavia ship as a highlight. Subsequently the present and the future are presented, in the form of a manufacturing landscape, a shipyard, and an information center where companies in the field of water management demonstrate their current and future knowledge and skills. 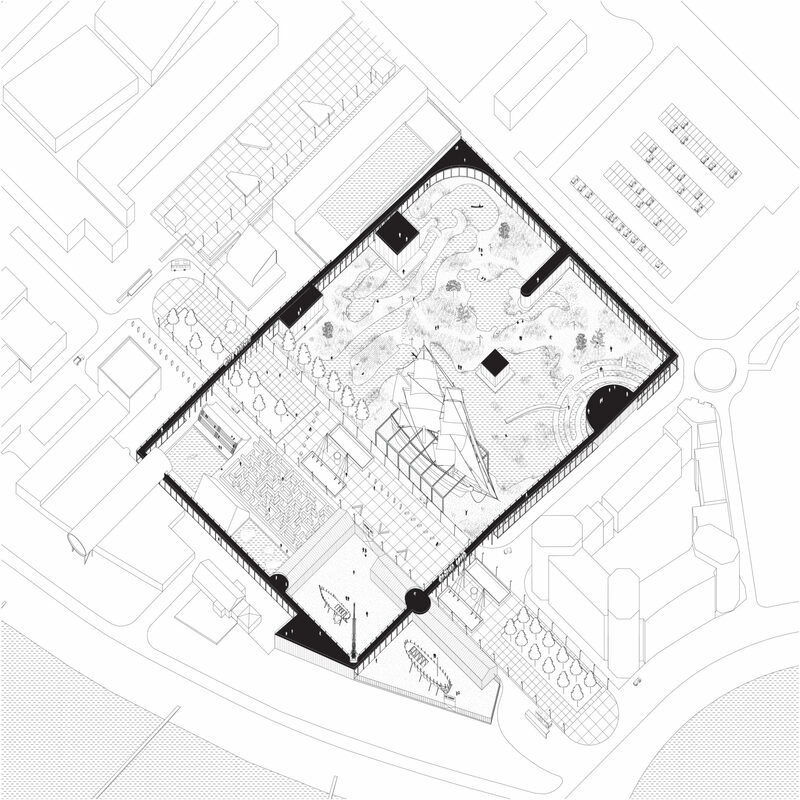 Our proposal consists of a fixed, uniform and formal framework that encloses a flexible, differentiated and informal world. This frame both unifies and separates. 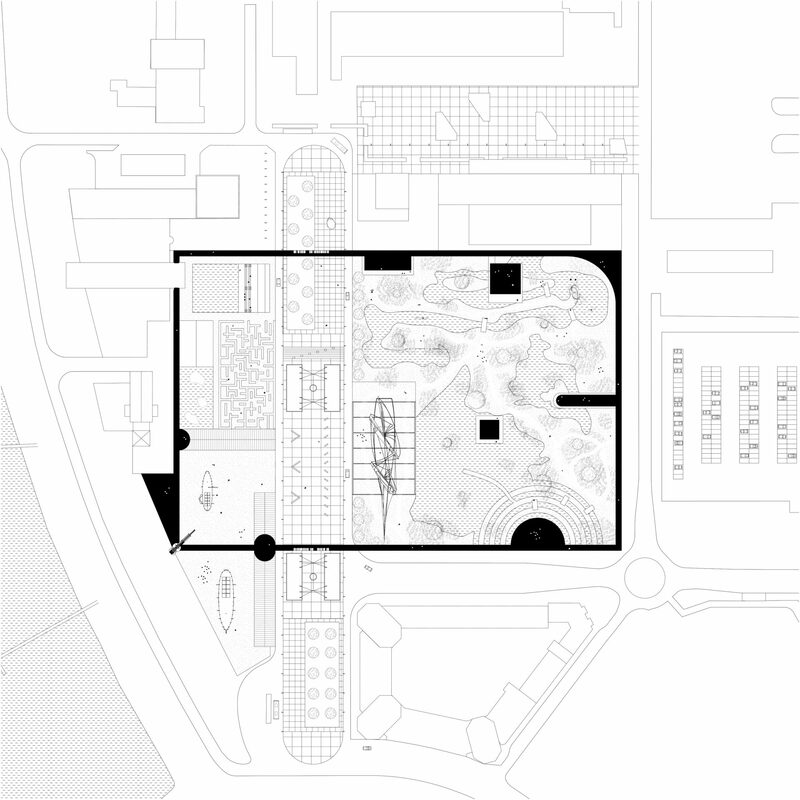 It unifies the varied parts of the museum by embracing the different landscapes and by connecting the different buildings. It separates by defining a clear limit between museum and its surroundings, creating a clear entity towards the outside and an introvert inner world that lends itself for a varied collection of simulacra that recreate the Dutch relation of water and land over time. By incorporating the public promenade that runs right through the museum, the clear division between inside and outside is locally released. Here, museum and city are intertwined. The frame contains a covered walkway that opens inwards and has a more closed character towards the outside. The formal indoor route it creates contrasts with the labyrinthine outdoor routes through the landscapes it surrounds. 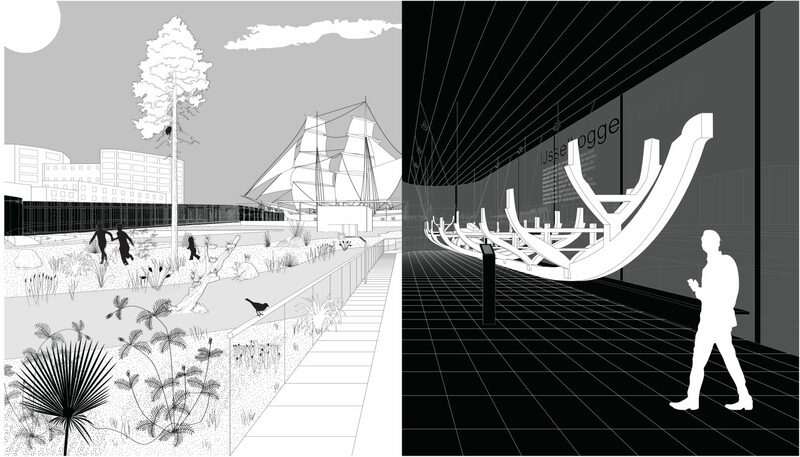 The visitor can freely switch between these two ways of navigating the museum.Both existing and new buildings are situated on the inside and on the outside of the frame. Within the buildings there is room for museum experiences with more depth and reflection; in the framed, free outdoor space there is room for play, infotainment and discovery.